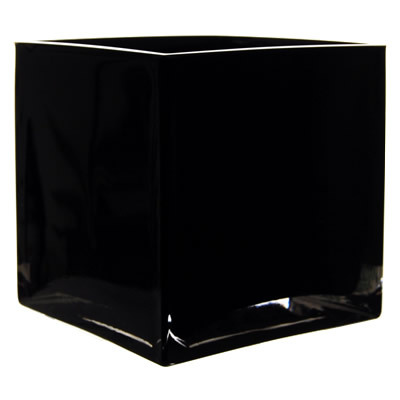 Black Cube Vase. H-4.75", Pack of 12 pcs Discounts Apply ! Our cube vase is made of bright and black glass, it makes an attractive and eye- catching base for floral and candle designs. Dimension: H-4.75" , Open - 4.75" x 4.75"